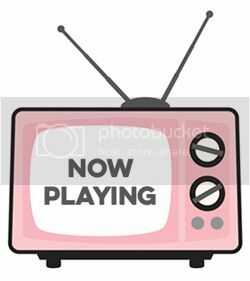 Hello and welcome to day 4 of the My Favorite Things July Release Countdown! 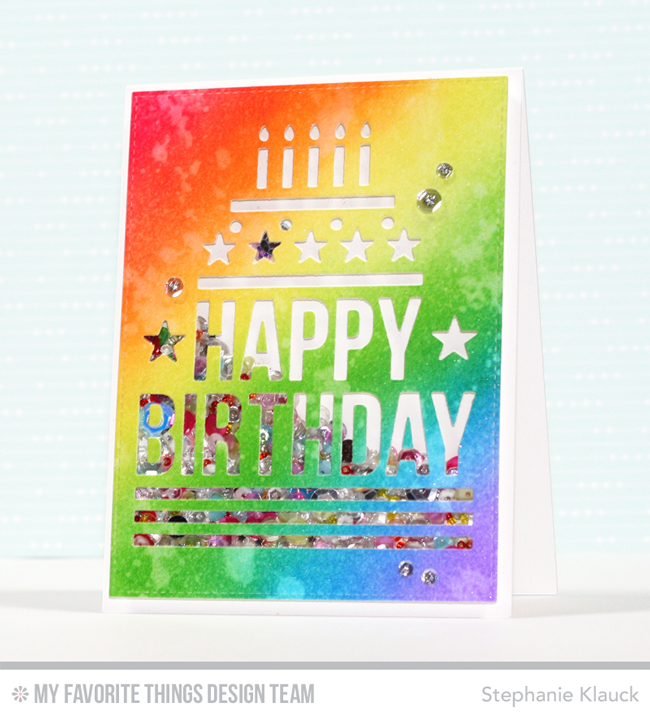 This month's release is celebrating birthdays in a big way and with all of the new products, you won't have any problem creating birthday cards for all of those special people in your life! For my first card today, I used the new Gift Box Cover-Up die-namics with some images from the new Beary Special Birthday stamp set (and coordinating die-namics) to create a glittery gift on my card front. I diecut the gift box twice, once from silver glitter cardstock and once from white cardstock. I added ink to the rectangle panels to give them some colour and then I adhered both the outside frame and the inside panels to a top folding card base. I stamped, coloured and diecut the presents and balloons from the Beary Special Birthday stamp set and I layered them together onto the card front with foam adhesive. I stamped a sentiment from the Celebrate with Cake stamp set onto a white cardstock banner and I adhered it under the presents on foam adhesive. 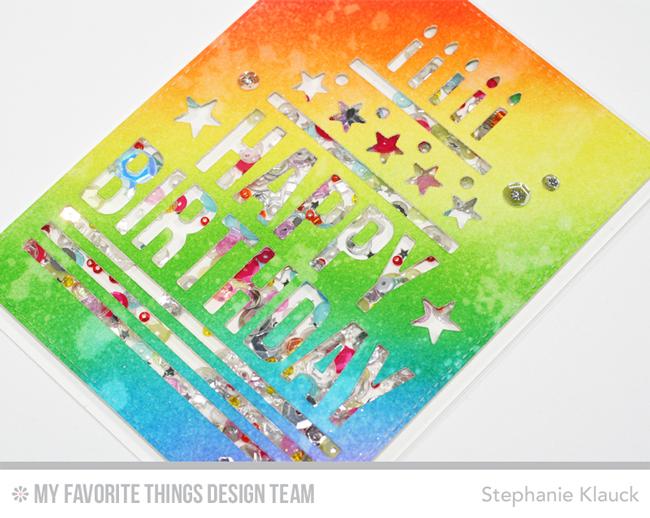 For my second card, I used the new Happy Birthday Centerpieces die-namics to create a colourful, rainbow panel that I made into a shaker card. I first created the rainbow design on my cardstock panel by applying distress inks with an ink blending tool in rainbow order. I overlapped and blended each of the different colours together to make the background all blend together. Once I was done all of the inking, I spritzed some water on the finished panel and then dabbed it off with a paper towel to create water spots in the ink. I added a piece of acetate to the back of the finished panel and then I added foam adhesive so I could make it a shaker card. I added a bunch of colourful sequins and adhered a second cardstock panel onto the back to keep all of the sequins inside. I adhered the shaker panel to a top folding card base and added a few clear sequins onto the card front. Thank you so much for stopping by for day 4 of the MFT July release countdown! All of the new products will officially be available in the MFT Stamps online store on July 5th at 10pm EST. I have a feeling the picture doesn't do the Happy Birthday shaker card justice. It was nice to see a close up of the glitter card. Such fun and HAPPY creations! 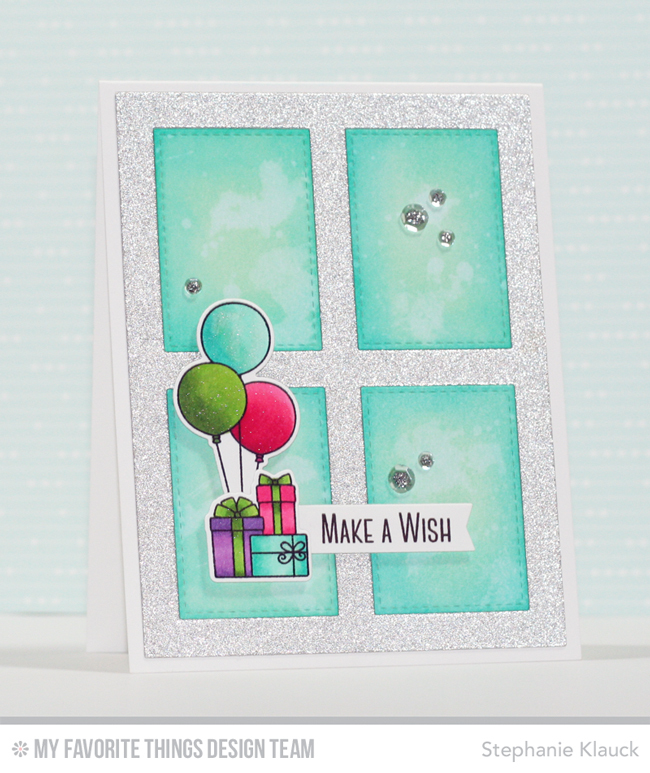 Love the glitter on the first card and love the distress ink colors for the second. Lovely. Oh so fun!!! Love the glitter on the first card and that shaker is too cute! Love glitter on the background. And, I love watercolor backgrounds too. Thanks for the inspiration. 2 beautiful cards ! 💕 love the shaker one too. Love this, Stephanie! What a great shaker card. The watercolor die makes an awesome shaker! Your colors are beautiful on both cards! Your HB centerpiece is a masterpiece! I bet it looks even more amazing IRL! I'm loving the new gift box cover die too. It looks great it glitter!!! Love both the cards! They are so bright and festive! Love all the sparkle on these cards.